This is quite a hot topic and needs to be clarified from a feng shui and numerology perspective. The number 4 and anything that adds up to 4 doesn’t have bad feng shui OR bad karma. The number 4 is considered bad luck because it sounds like the word death (si) in Cantonese. Many nationalities are starting to avoid number 4 properties or anything that adds up to 4 because they know it’ll limit their ability to sell to Asian investors. It’s quite normal to go to a Hotel in Asia and find there’s no floor number 4, or 13 etc. Is that why J.K. Rowling chose number 4 Privet Drive for Harry’s unhappy home in Harry Potter? As a feng shui consultant, I advise against purchasing a number 4 property or adds up to number 4 purely because it limits who will buy your property thus affecting the sale price. Conversely, you may bag a bargain if you buy a number 4 home, especially in an area where the the population is mainly Asian. As advised by my feng shui colleague Gayle Atherton, ‘the only exception would be a property number 48 (to die prosperous) or 84 (prosperity before death). Also adding a letter “a or b” to any 4 number makes it moderate for the Cantonese because it is not death alone’. If you own a 4 home, don’t worry, your property doesn’t have bad feng shui, bad karma or negative energy. 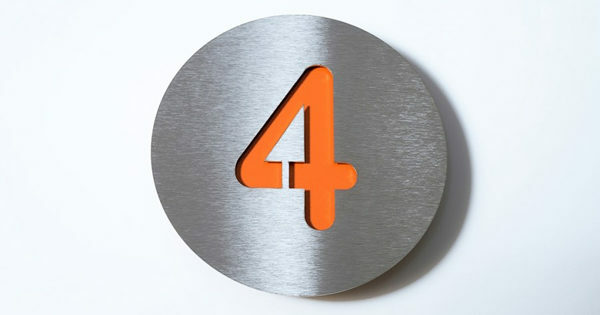 In numerology, the number 4 is all about stability and security, so you’ll probably live in that home for a long time. Be careful not to become too set in your ways living in a number 4 home or apartment. If you want to sell your number 4 home in the future, see if the Council will allow you to add the letter ‘a’ to the 4. 4a = 5, 4b = 6. You may have better luck selling it. Really interesting, clears up alot of misconceptions about the number four. Hope it was helpful. Best wishes, Carol. Thank you, that article is really interesting. ©2017 Sacred Feng Shui Design All Rights Reserved.